It’s been a banner couple of months to kick off 2015 for YSU’s Master of Arts in Financial Economics. The program was ranked among the top 15 in the nation by Financial Engineer and was accepted into the University Recognition Program of the prestigious Chartered Financial Analyst Institute. In economics circles, that’s a big, big doubleheader sweep. “These two honors reflect the quality of our program, our faculty, our students and our graduates,” said Tod Porter, chair of the YSU Department of Economics. Financial Engineer ranks the YSU program as the 13th best in the nation. Columbia University’s program is ranked first. The rankings are based on several factors, including scores on graduation admissions tests, starting salaries of graduates, undergraduate grade point average and graduate employment rate. View the rankings here: https://www.thefinancialengineer.net/financial-economics-rankings/. Meanwhile, the YSU program joins only four others in Ohio and only one in Pennsylvania as part of the CFA program. 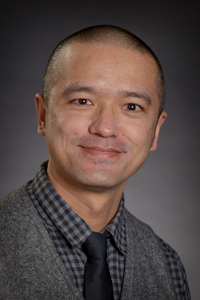 “Acceptance into this program means that the most respected professional organization in the field recognizes that our curriculum provides students with the preparation they need to effectively compete for jobs in the financial sector,” said Ou Hu, associate professor of Economics who took the lead in seeking the CFA recognition. YSU’s MA in Financial Economics is now listed on the CFA Institute website and other venues promoting the University Recognition Program. The recognition also means that YSU is entitled to award five CFA Program Awareness Scholarships to students each fiscal year.